Summer is the perfect time to visit our beautiful beaches along the surf coast and enjoy the glorious sunshine. To ensure everyone has a great time this holiday season, read our top tips for keeping you and your family safe. Swimming between the flags is one of the easiest ways to stay safe this summer. Volunteer and paid lifeguards are patrolling Victorian beaches all summer to help protect beachgoers. The ocean is unpredictable which is why you always need someone looking out for you. If you have young children, please remember that you must be within an arm’s reach of your child at all times and give them your full attention to ensure their safety. 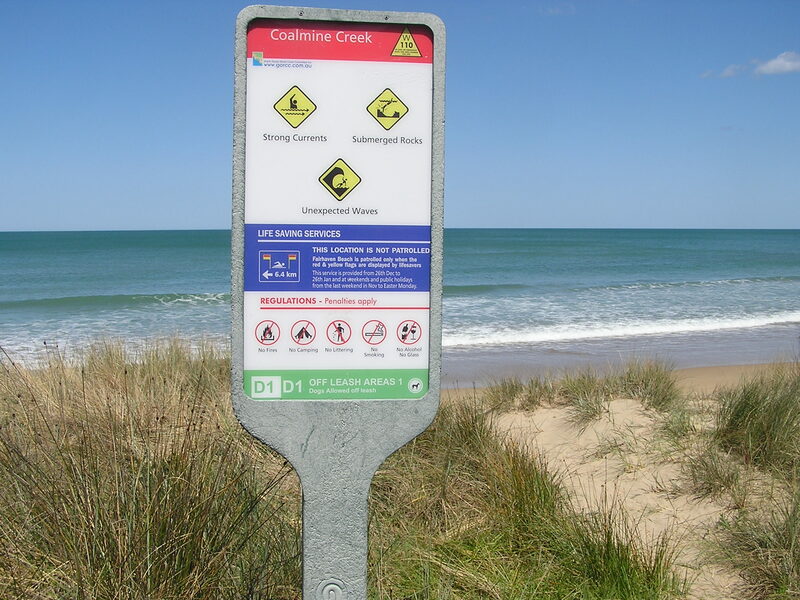 If you are swimming in an unpatrolled beach, make sure you read and obey the safety signs and check that it is okay to swim before you enter the water as conditions can change regularly. It is vital that you know how to swim well and always recommended to have someone to look out for you whilst you are in the water. More safety by the water information can be found on Life Saving Victoria’s website. The Victorian boating regulations require Personal Flotation Devices (PFDs) to be carried on a boat for all persons. For more information about the Victorian regulations click here. 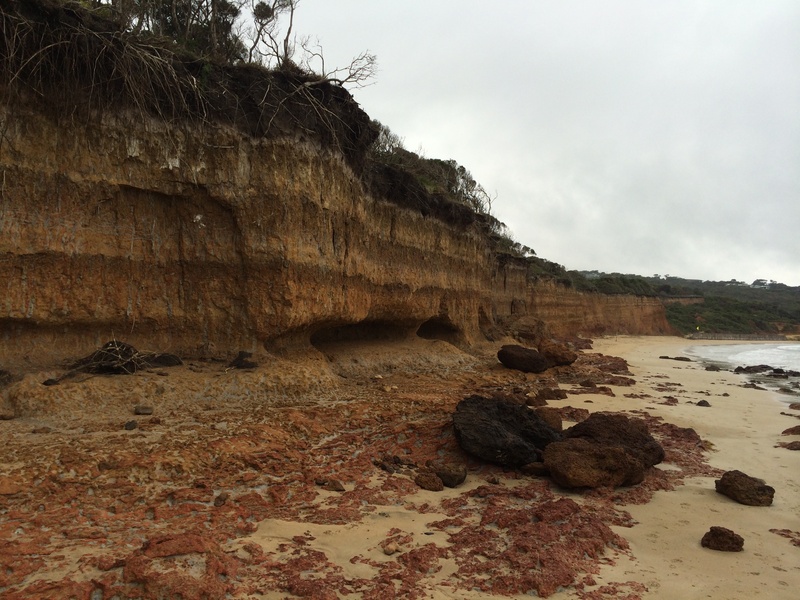 Many areas along the coast are subject to seasonal coastline erosion, especially Jan Juc and Anglesea regions causing unstable cliffs. To keep your family safe, please read and obey the advisory signs and take care when near cliffs. It is recommended to stay on designated walking tracks to avoid areas of cliff instability. 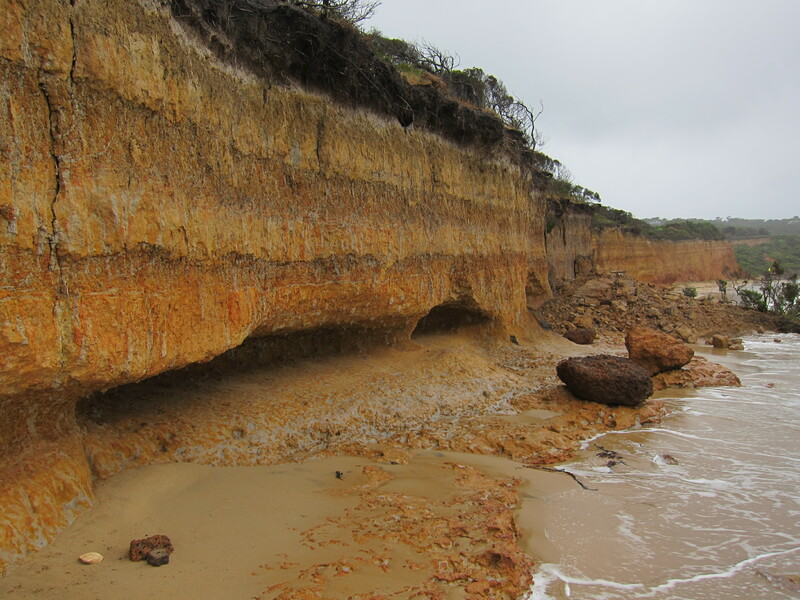 For more information about unstable cliffs visit the Department of Environment and Primary Industries website click here. There are several spots between Point Addis and Anglesea River that can become impassable at high tide. It is important to check the current tide times and be aware of tidal changes to avoid being caught. Always read the warning signs and familiarise yourself with the area before walking along the coastline. If you are unsure about an area ask a local or seek further information. For information about local coastal walks and their accessibility click here. 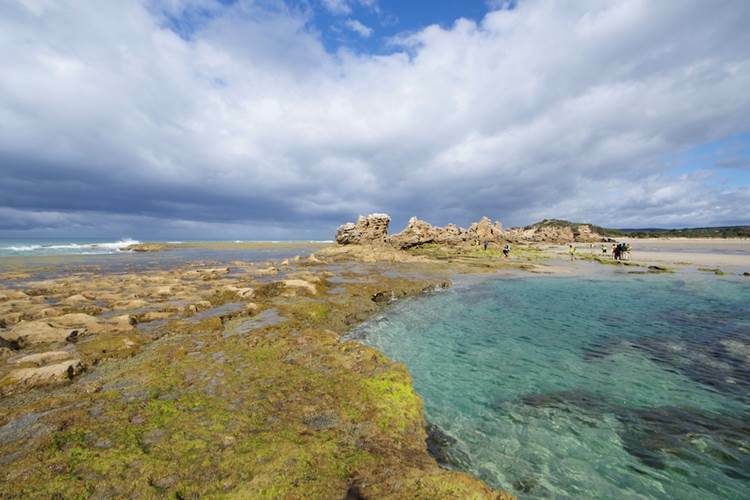 Offering natural beauty and easy access, the recently redeveloped Surf Coast Walk along the edge of the Great Ocean Road offers a world-class walking destination for all to enjoy. The track has proved popular since its official reopening last year and from dogs to bicycles to pram to runners, everyone is out and about enjoying different sections at different paces. 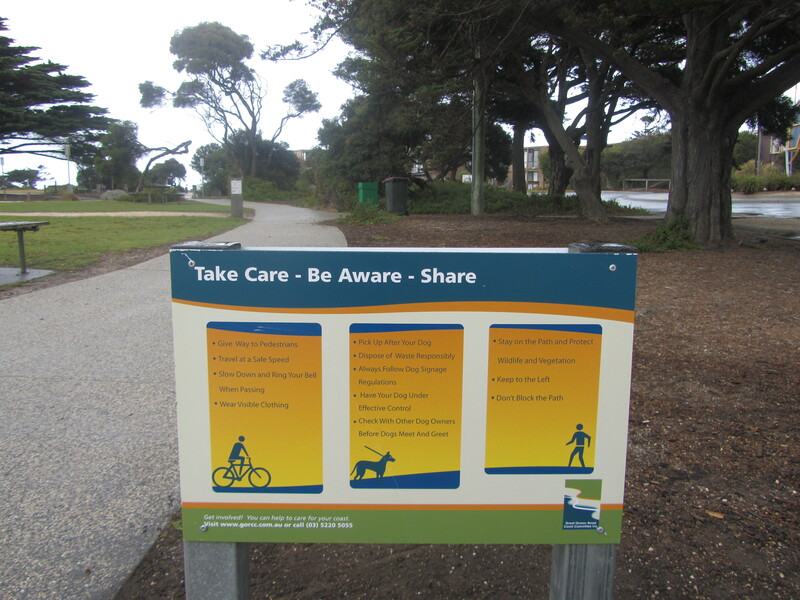 In recognition of the multiple uses of the track and in response to some community concern around safety, GORCC has installed some signs in high use areas around Torquay and Jan Juc, to promote safe shared use. The signs also remind dog owners to clean up after their pets and to keep appropriate control over them at all times. Additionally, all users are asked to be vigilant of vegetation and wildlife and to keep to the left of the paths. On days of extreme fire to seek information from Visitor Information Centres or the Bushfire Information Line on 1800 240 667, as some walks may be closed to the public. 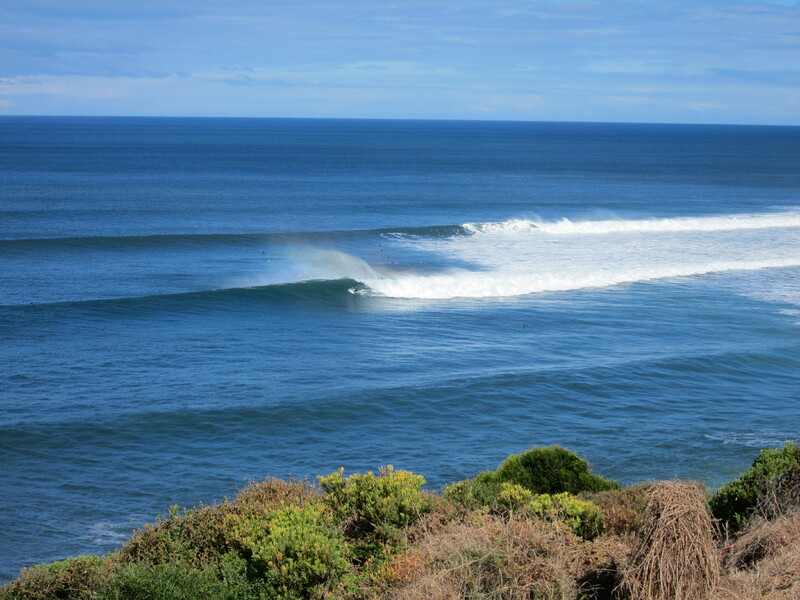 More information including detailed maps are available at http://www.visitgreatoceanroad.org.au/surfcoastwalk. More tips on staying safe on the coast are available here. Did you know the Surf Coast Walk also has an official volunteer group, the Friends of the Surf Coast Walk? Have you been out and about on the Surf Coast Walk lately? 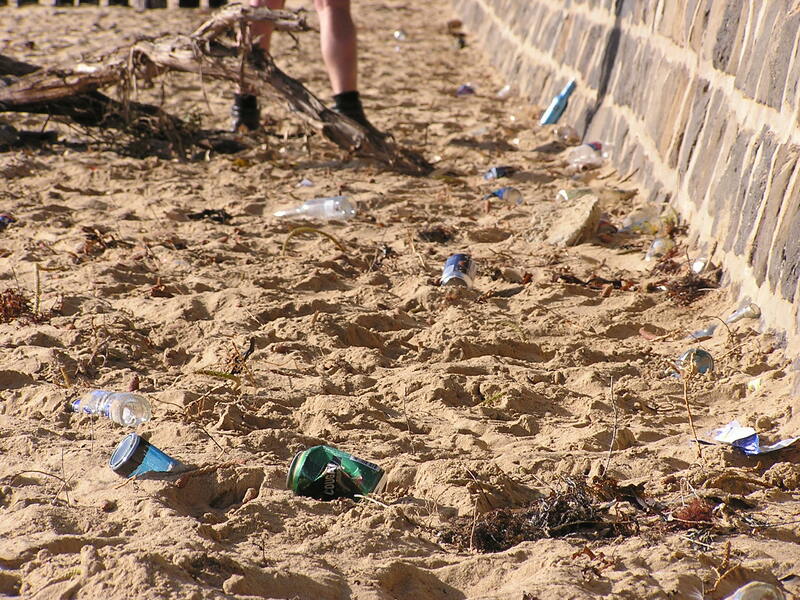 Let us know below or join in the conversation on the official Surf Coast Walk Facebook page. Tiger Snakes and Lowland Copperheads are starting to get more active along the Surf Coast as we move into the warmer weather. 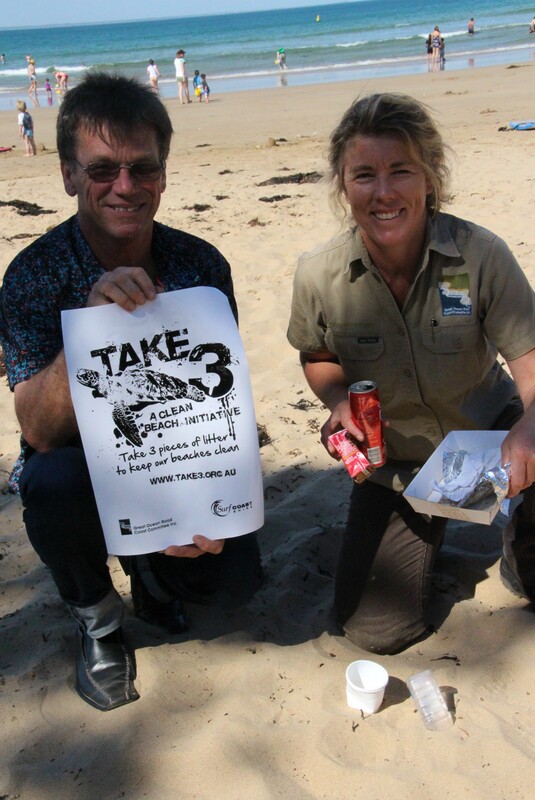 Snakes are out and about on the coast as we head into warmer weather – take care! 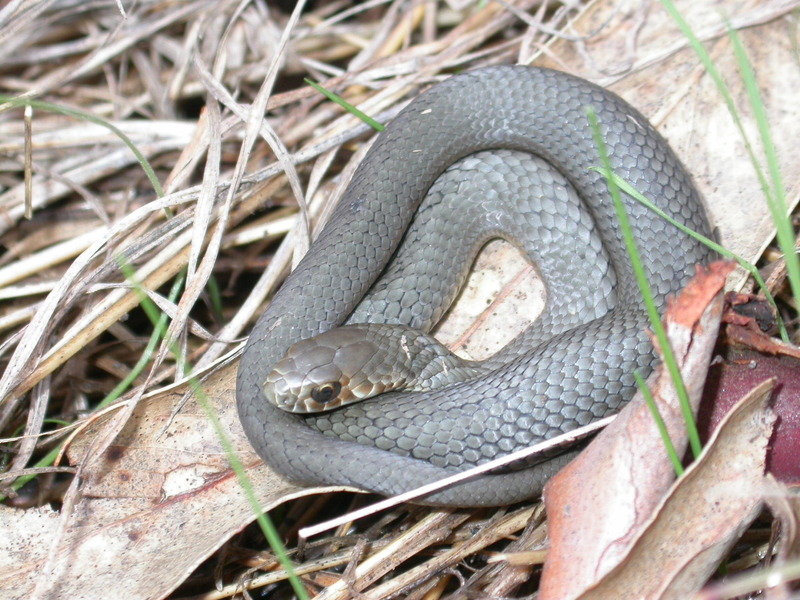 In a media release from the Department of Environment and Sustainability (DSE) it was reported the arrival of spring weather means more people are getting outdoors at the same time that snakes are coming out of hibernation. DSE Arthur Rylah Institute (ARI) Senior Scientist Nick Clemann said snakes will be emerging from their hibernation over winter to bask in the sun and start moving about to look for food and a mate. “Spring means more people are out walking their dogs, cycling, bush-walking, enjoying parks and gardening so, depending on where they live and walk, they are quite likely to encounter a snake,” Mr Clemann said. 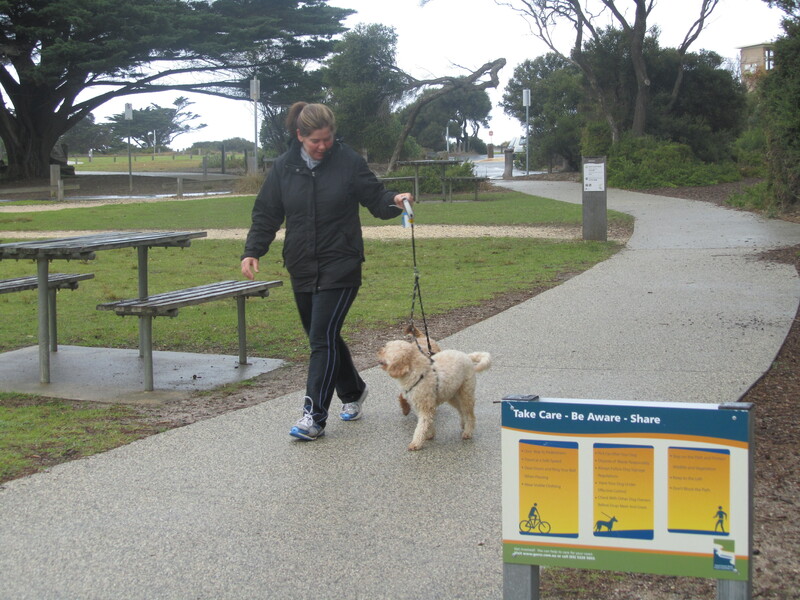 The Great Ocean Road Coast Committee encourages the community to keep dogs on leads, and steer clear of long grasses, rocks and bushes where snakes might be lurking. If you see a snake – keep calm and try to move yourself, anyone with you and your pets away from the snake. Never touch or attempt to capture or hurt snakes – instead call DSE on 136 186 for further advice, or call a licensed snake catcher. Have a spring clean – clean up around the house and cut lawns regularly – snakes are attracted to shelter such as piles of rocks and timber, sheets of metal, or building materials. Undertake first aid training, ensure your first aid kit contains several compression bandages, and if someone is bitten, call 000 immediately. For further information and descriptions of the Lowland Copperhead and Tiger Snake visit The Australian Reptile Park website. For a full list of snakes in Victoria visit the Museum Victoria website. Take a look at some other ways to stay safe on the coast here. From board games to brain teasers, puzzles to excursion maps; you will be amazed by the richness of the coast and discover heaps along the way! As much as we love a day on the beach swimming and surfing, sometimes the weather doesn’t allow it. So if you’re faced with a rainy day, why not take a look at GORCC’s new interactive suite of activities which range from board games to brain teasers and puzzles to excursion maps. 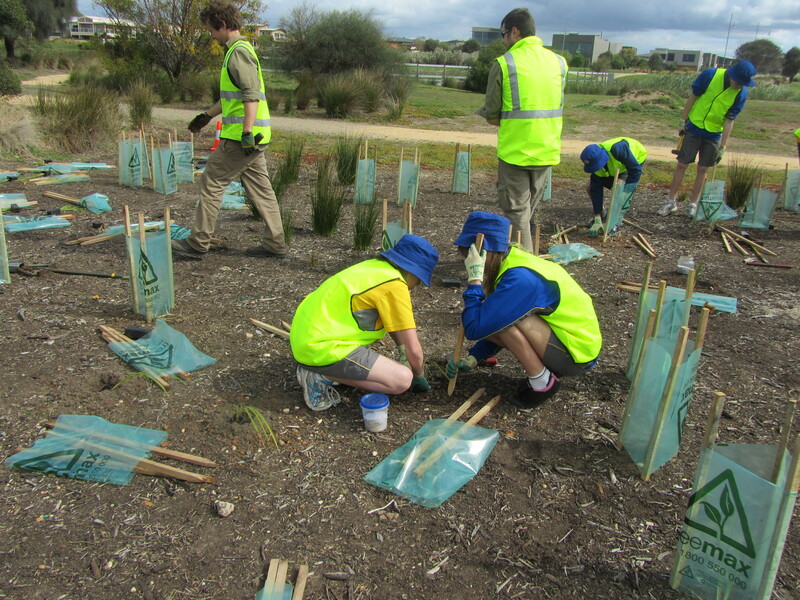 Schools and families can now access free, printable activities offering fun ways for all ages to learn about the local environment either from the comfort of their home or classroom or out and about on the coast. GORCC Community Liaison Manager Jane Rowlands said the activities would suit kids of all ages, at school and at home. 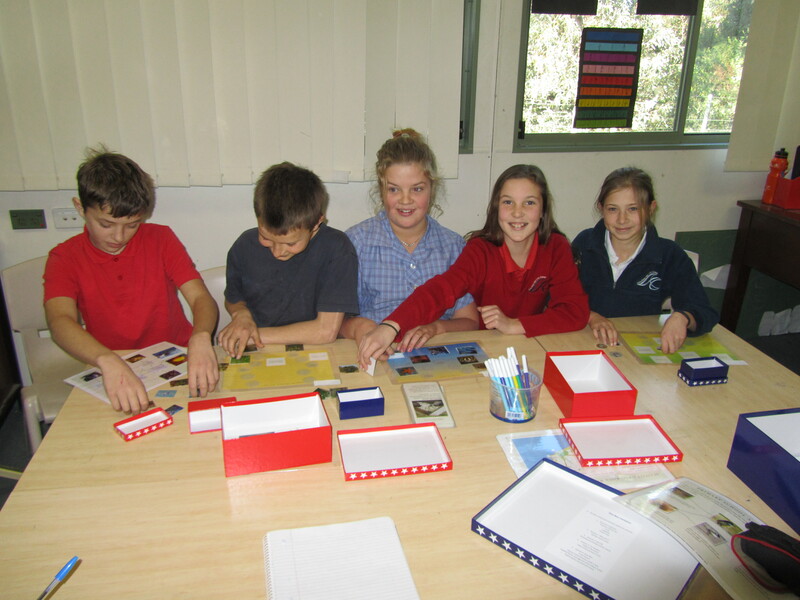 “The activities are a fun, accessible and educational option for those wet weather days when swimming isn’t an option, for inspiration in the classroom or when you want to add a little bit of interest to your coastal walk,” she said. Ms. Rowlands said the activities were designed to cover a breadth of education topics, raise environmental awareness and promote discussions with others. There are so many ways to get involved with the coast, one being the Environmental Education Program for schools and groups offered through GORCC. Giving back to the environment is rewarding as is making new friends with other volunteers whilst protecting and enhancing the coast.